Lucky Seven Crossword Collection is Britain’s best-selling giant crosswords magazine – and no wonder. 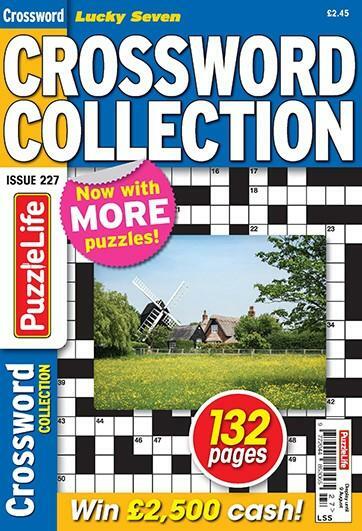 Its 132 pages are packed with mega crosswords featuring straightforward clues and a smattering of anagrams. For easy-to-read giant crosswords and a £2,500 cash competition, you can’t do better than Lucky Seven Crossword Collection. Be the first person to tell us what you think about Lucky Seven Crossword Collection and you'll save £2.50 on your next purchase!